A sports facility at the Marine Corps Recruit Depot in San Diego was named after Marine aviator, New York Yankees second baseman and longtime Padres announcer Jerry Coleman on Friday. Murals, photos and a painting of Coleman, who died at 89 last year, will be unveiled, according to base officials. Coleman flew more than 120 combat missions in World War II and the Korean War, earning two Distinguished Flying Crosses. 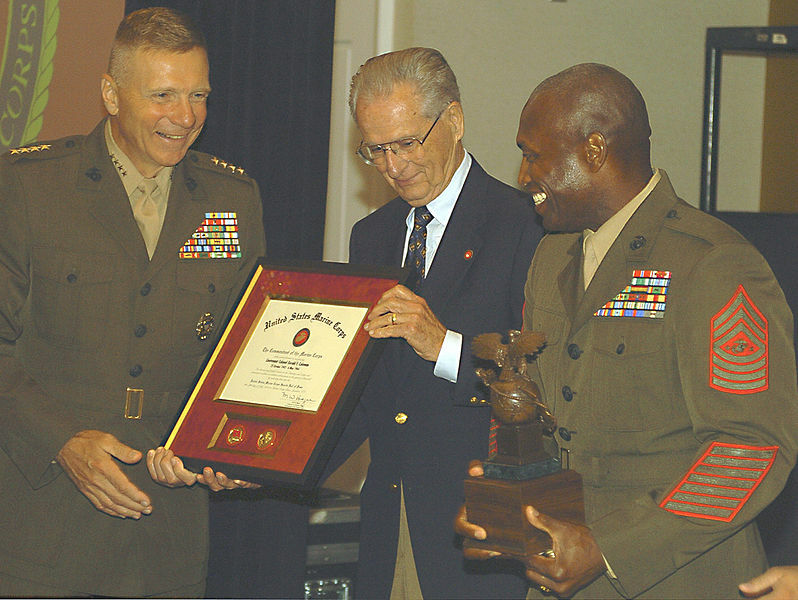 “It is an honor to recognize Lt. Col. Jerry Coleman during the dedication and transformation of the former Semper Fit Field House to the Jerry Coleman Center,” said Thomas Spencer, director of MCRD San Diego’s Marine Corps Community Services. Coleman batted .263 over parts of nine seasons with the Yankees, was a member of four World Series-winning teams. and played in the 1950 All-Star Game. Encouraged to get into broadcasting by Howard Cosell, Coleman began his next career with CBS Radio, and later was a play-by-play announcer for the Yankees and then-California Angels before latching on with the Padres in 1972. He was the team’s primary radio voice until 2013, save for a one-year stint as manager in 1980. In 2005, he won the Ford C. Frick Award, given to a broadcaster who has made a major contribution to baseball.